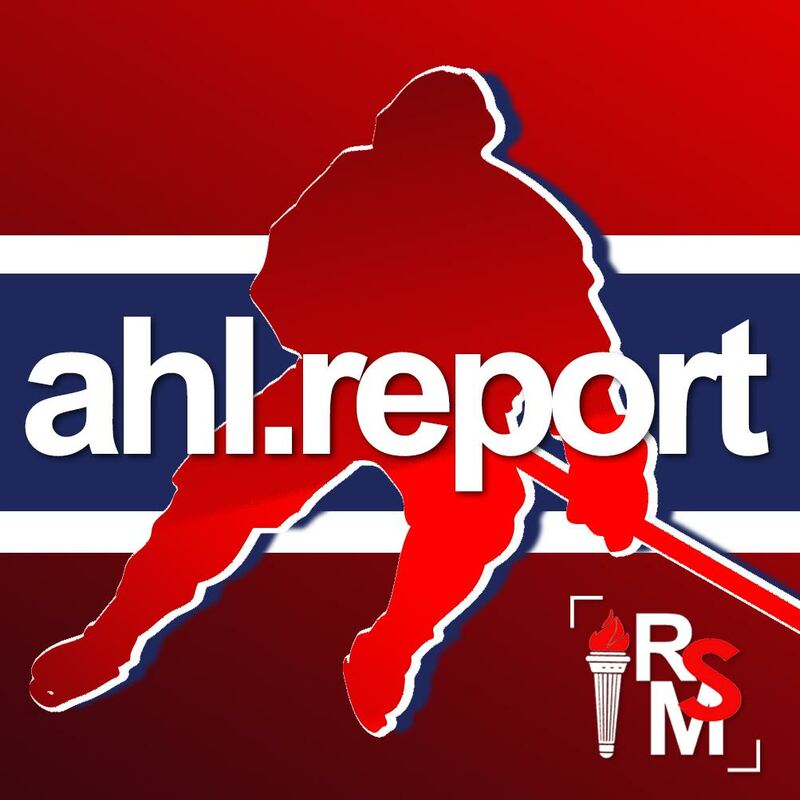 SPRINGFIELD, MA — The American Hockey League announced today that St. John’s IceCaps forward Chris Terry, Bridgeport Sound Tigers forward Josh Ho-Sang and San Jose Barracuda goaltender Troy Grosenick have been selected as the league’s award winners for February. Coming off an appearance in the AHL All-Star Classic at the end of January, Terry had four goals and eight points during the IceCaps’ six-game road trip through Pennsylvania to begin February, including a pair of assists in a 5-2 win at Wilkes-Barre/Scranton on Feb. 3 and a goal in a 4-3 win at Lehigh Valley on Feb. 11. He scored the tying goal late in regulation to help St. John’s earn a point in a 3-2 overtime loss to Binghamton on Feb. 14, and added a goal and an assist in a 6-1 victory over Syracuse on Feb. 18. Terry closed out the month by scoring the game-winning goal and assisting on two others in a 5-4 win over Albany on Feb. 25.Terry, the CCM/AHL Player of the Month, played 12 games for St. John’s during February and recorded nine goals and nine assists for a league-high 18 points along with a plus-9 rating. Terry currently ranks second in the AHL in scoring with 50 points (21 goals, 29 assists) in just 38 games for St. John’s, and is tied for second in the league with 12 power-play goals. 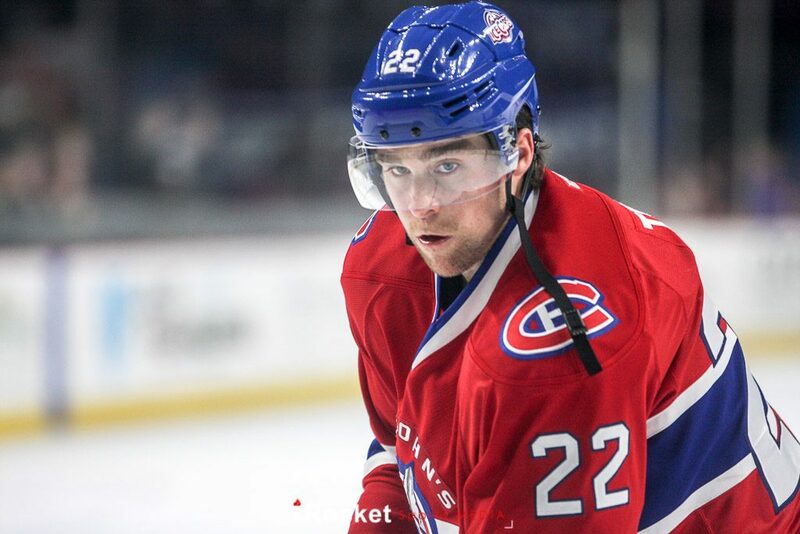 The eighth-year pro from Brampton, Ont., has registered 142 goals and 209 assists for 351 points in 418 career AHL games and is a two-time AHL All-Star (2012, 2017). Originally a fifth-round draft choice by Carolina in 2007, Terry has also recorded two goals and two assists in 14 NHL games with Montreal this season and has totaled 22 goals and 16 assists for 38 points in 152 career NHL outings. Ho-Sang had a goal and an assist in a 3-2 win over Rochester on Feb. 3, and assisted on the only goal in the Sound Tigers’ 1-0 victory at Providence on Feb. 10. He established personal bests with three assists and four points in a 5-2 win at Rochester on Feb. 17, and came back the following afternoon with a goal and two assists to help Bridgeport to a 3-2 victory at Albany. Ho-Sang wrapped up the month with an assist on the deciding goal in a 2-1 win over Hershey on Feb. 26.Ho-Sang, the CCM/AHL Rookie of the Month, scored five goals and added 10 assists for 15 points while registering a plus-9 rating in 12 games for Bridgeport in February. The 21-year-old Ho-Sang has recorded 10 goals and 26 assists for 36 points in 48 games for Bridgeport this season, tied for sixth among all AHL rookies in scoring. The native of Thornhill, Ont., was a first-round choice (28th overall) by the New York Islanders in the 2014 NHL Entry Draft, and earned his first career recall earlier this week. Grosenick made 36 saves at Manitoba on Feb. 4, and earned first-star honors with 38 stops on 39 shots in a 2-1 win over San Diego on Feb. 8. He turned aside 28 shots in a 4-1 win over Tucson on Feb. 14, and earned his league-leading seventh shutout of the season with a 20-save effort in a 2-0 decision at Ontario on Feb. 18. He closed out the month with a pair of one-goal wins at Tucson, extending his personal winning streak to 12 games and helping the Barracuda on a 14-game run that has put them atop the AHL’s overall standings.Grosenick, the CCM/AHL Goaltender of the Month, was a perfect 9-0-0 in nine starts during February, posting a 1.88 goals-against average and a .933 save percentage in allowing 17 goals on 255 shots for the month. A fourth-year pro from Brookfield, Wis., Grosenick was a 2017 AHL All-Star and has a record of 21-8-2 in 34 appearances for the Barracuda this season, ranking among the AHL leaders in wins (T-3rd), goals-against average (2.04, 3rd) and save percentage (.930, 3rd) to go with his league-best seven shutouts. Grosenick originally signed as a free agent with the San Jose Sharks in 2013 and has played 133 career AHL games, going 70-45-9 with a 2.59 GAA, a .909 save percentage and 10 shutouts. Grosenick has also appeared in two NHL games with the Sharks, earning a shutout in his debut at Carolina on Nov. 16, 2014.